The team at Pleasure Pools are passionate and experienced in delivering the highest quality swimming pools. Managing Director Kym Dickeson has over 20 years experience in the pool construction industry and has built over 500 pools since launching Pleasure Pools in 1997. Team members Adam and Tyran have been working with Kym for 12 and 11 years respectively. When it comes to choosing your Pleasure Pool, Kym will personally come out to your home and help you design a pool to suit your family and social needs, all at a budget to suit you. Pleasure Pools is recognised as having state and national award winning pools, and is South Australia’s most awarded vinyl lined / composite pool builder. 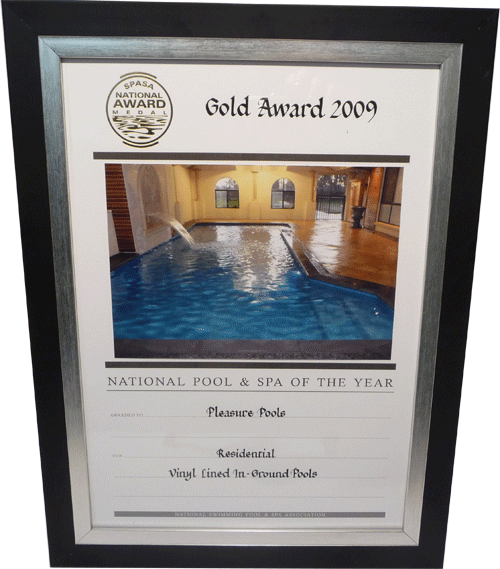 Pleasure Pools has been a fully supported member of Swimming Pool and Spa Association since 2001.